This factory original replacement for the Berkey shower filter will filter 20,000 gallons of filtered water before needing to be replaced. This factory original replacement for the Berkey shower filter will filter 20,000 gallons of filtered water before needing to be replaced. It reduces chlorine, scale, rust, and slime in your showering water. 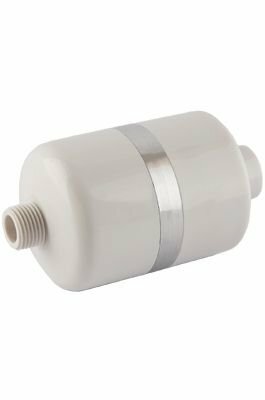 It comes with a fitting to flush the shower filter to restore full flow and is threaded to screw directly onto your existing shower plumbing.